What a great night of rock’n’roll we had yesterday @ Paleo Festival for Day 2! No hurricanes this time to spoil the end of the night, sunshine all along and a great partying atmosphere among all the festival goers! After the success of our Top 5 best moment from Day 1 (Click Here to read!!) we replicate today with our Top 5 highlights from Day 2. The artists were on top shape (Arctic Monkeys, The Smashing Pumpkins), great gigs and amazing musical performances, but again we have some doubts about the slots allocations: having Beach House playing in between Arctic and Smashing resulted on Les Arches Stage being half empty (while everyone was getting food and booze), their “dream pop” style of music probably would have suited better an earlier slot, to kick off the day chilling on the grass sipping some rose wine. Another weak point from last night were the sound problems that occurred at the beginning of The Smashing Pumpkins’ concert that obliged the band to break for 5-10min, thanks to the Gods of Rock’n’roll Billy Corgan and company know how to handle these situations and they managed to start again with even more energy and excitement from the crowd! Overall, it was a very good night, and we are not here to complain, therefore let’s jump directly to our Top 5 Best Moments from Day 2! Arctic Monkeys playing “When The Sun Goes Down” to a jumpy Plaine de l’Asse. 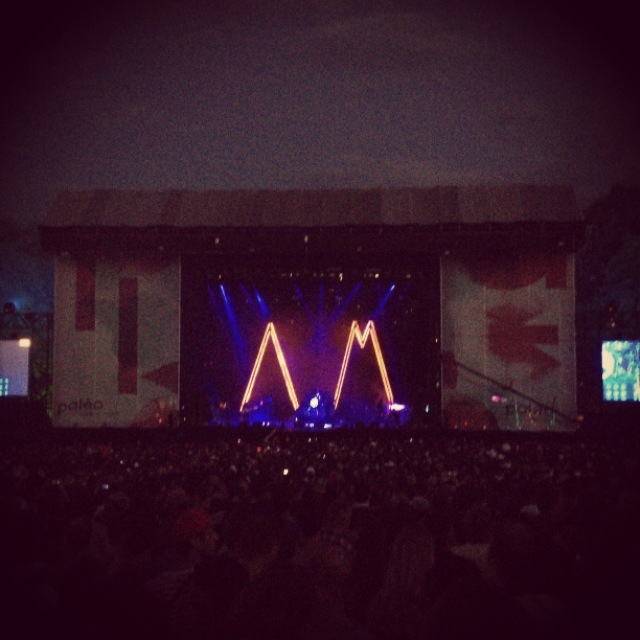 Honestly it was difficult to choose only one moment from their set, for me personally it was the best concert so far of the Festival, Alex Turner and the band have now a solid live experience that helps them win any type of crowd. We could have picked almost the full set as the best moment of Day 2! 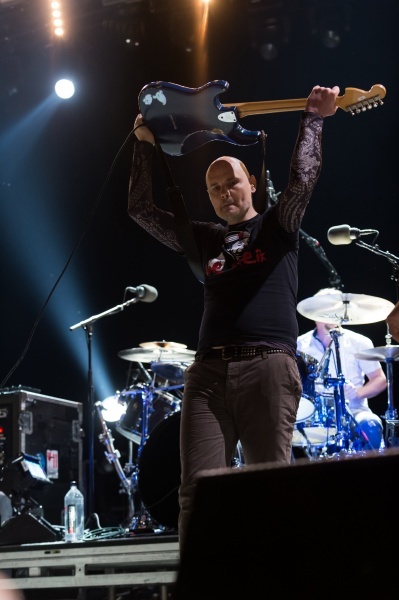 The Smashing Pumpkins – Tonight, Tonight – if a band kicks-off his set with the following lyrics “Time is never time at all You can never ever leave without leaving a piece of youth” you know right from the start that it will be an epic concert. We missed some good old grunge around this corner of the world! Mass Hysteria’s pogo, disclaimer: I’m not a big fan of this kind of music (metal mixed with some hip-hop) but they really engaged in rocking their crowd, a huge pogo started very soon in the set when they asked everybody to form a circle, then they played one full song from the middle of this pogo-circle and finally they invited something like 30 ladies (les furieuses) to join them on stage. Nice job! What were your favorite moments from last night? Share them with us! 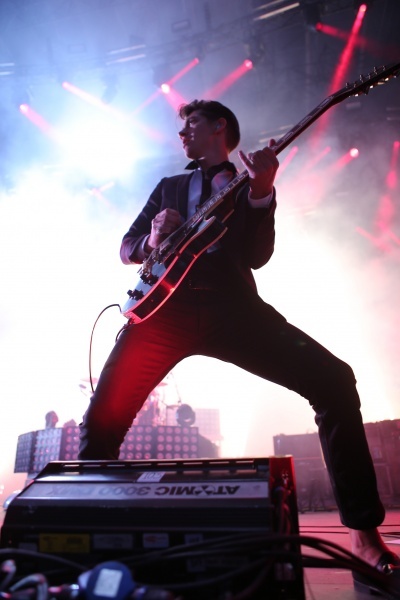 Stay tuned for our full Arctic Monkeys concert review coming up later on! Hey Hey, My My, it’s only (live) rock’n’roll, but we like it! You missed another “Best Moment”, the concert from Lescop, a French band which is quite inspired by the eighties; Joy Division, New Order and the Cure. An impressive bassist which reminded of Peter Hook, an amazing bass sound and a singer who know how to behave on stage as he may have seen several time the “Control” movie. Good music, good atmosphere, honestly impressed! Thanks for sharing it!!! We will try to catch-up listening to them! Sorry we missed it! ← CONCERT REVIEW! 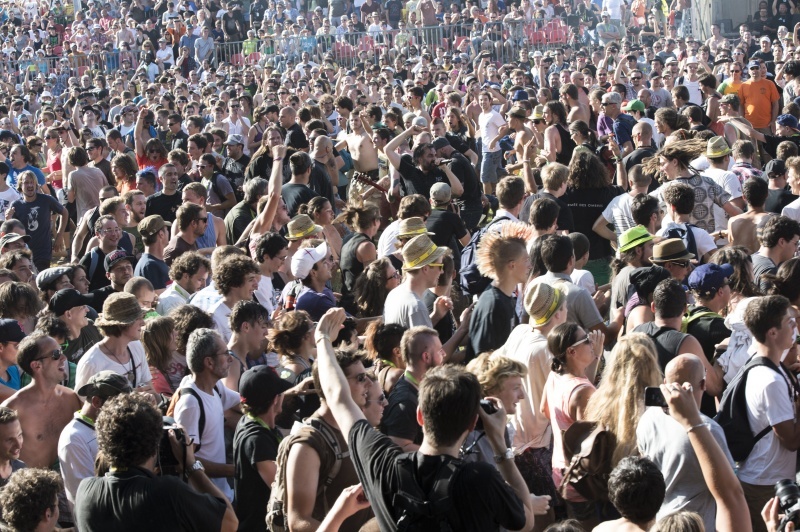 Paleo Festival, Nyon, Switzerland – 23/07/2013 – Day 1 The Liberation Top 5 Best Moments!